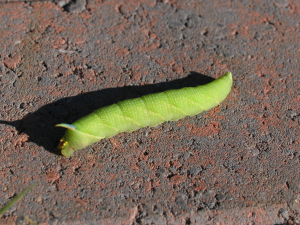 Observation - Lime Hawk Moth larva - UK and Ireland. Description: Dropped by a flying bird and picked up by my husband. Dropped by a flying bird and picked up by my husband.